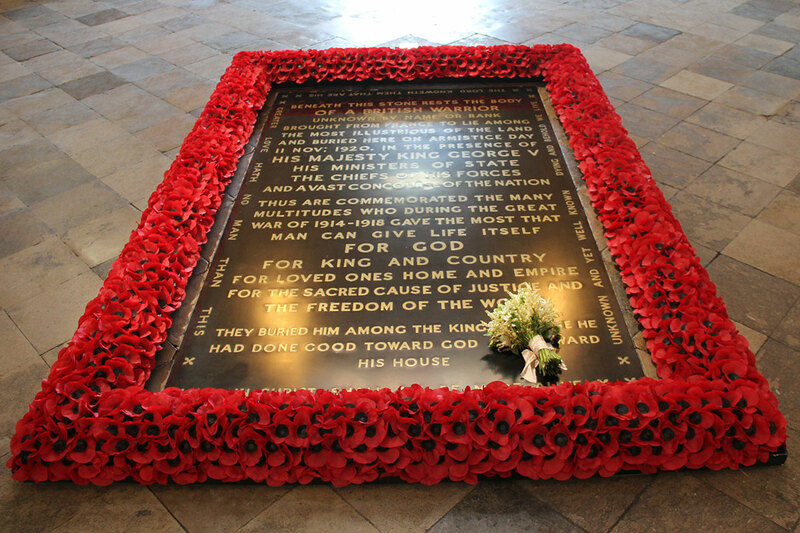 It is tradition in the Royal Family to lay the bride’s bouquet on the Grave of the Unknown Warrior, located in Westminster Abbey. As the wedding of the Duke and Duchess of Sussex happened in Windsor, Her Royal Highness sent hers to the Abbey to respect the tradition instated by Queen Elizabeth, The Queen Mother on her wedding day. WESTMINSTER ABBEY – The Duchess of Sussex has sent the bouquet she carried during her wedding ceremony at St George’s Chapel, Windsor Castle, to Westminster Abbey to rest on the Grave of the Unknown Warrior. This is a tradition which was begun by HM Queen Elizabeth, the Queen Mother, at her marriage to King George VI in memory of her brother Fergus who was killed in 1915 at the Battle of Loos during the First World War. The bouquet was designed by florist Philippa Craddock and comprises sweet pea forget-me-not, lily of the valley, astilbe, jasmine, astrantia and myrtle. The Warrior’s Grave stands as a remarkable tribute both to the fallen of the First World War and to all those who have died since in international military conflict. In 1920, the Reverend David Railton, a First World War army padre, suggested that an unknown soldier from the battlefield should be brought back to Britain for burial as a representative for all who had died. The grave remains a focus for pilgrimage and a powerful symbol, known across the world, of the sacrifice, suffering and bravery brought by war. It is the only grave or memorial in the Abbey which is never walked over.